What is De Anza job fair? A great opportunity for all domestic and international students to meet with approximately 50 employers in an informal setting and learn more about job and internship opportunities offered on-campus and off-campus by companies, government agencies, and non-profit organizations from a wide range of industries. #DeAnzaJobFair 2018 attracted 900+ attendees, featured 2,000+ work opportunities offered by 91 organizations from industries including science, technology, engineering, health care, wellness, manufacturing, education, business services. Join our eclectic and diverse team of thinkers, doers, and problem solvers to serve the De Anza community as a club officer (team leader), club member (team member), or as a volunteer on event days. Let us know your interest here on our website or at our Typeform. Recruit professionals from and offer brand exposure at our highly ranked community college in the heart of Silicon Valley. Our student body comes from diverse cultural backgrounds with a strong foundation in the fields of STEM, Career Technical Education, Business, Humanities, and the Arts. Register your organization here on our website or with our Typeform. Once the information is verified and approved, we will then let you know if your organization is eligible for our upcoming events, payment information, and more detailed information about our event. Yes: (1) Foothill & De Anza College students & staff must present ticket (printed or mobile) & working student/staff ID (DASB card, ASFC OwlCard, or staff ID) at the entrance. (2) Employers must present ticket (printed or mobile) at the entrance. Although we explicitly discourage children under 18 from attending this event, we cannot prevent minors that are Foothill or De Anza College students from attending the event. 2. What are my transportation options for getting to and from the event? Although we do not provide transportation to the event, there are public buses to De Anza College campus: bus 23, 25, 53, 54, 55, 81, and 323. Please see Google Maps or the VTA for more information. 3. What is the dress code and what can I bring to the event? 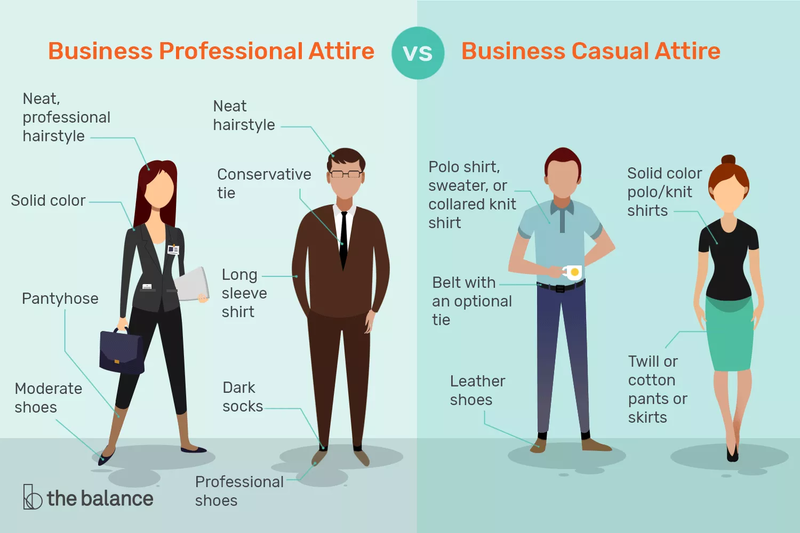 The dress code for the event is business casual or business professional, please refer to this image. We advise attendees to bring ample copies of their CV/resume, cover letter, business card, and any supporting document. Employers shall follow the guidelines stated in the information packet attached in the confirmation email sent from De Anza Job Fair Club. You can reach us at info@deanzajobfair.com or our social media @deanzajobfair on Facebook or Instagram. We reserve the right to refuse a ticket holder admission to the event or to evict that person from the event in any of the following circumstances: If the ticket holder fails to produce appropriate identification (acceptable forms of identification: government issued ID; Foothill or De Anza College student or staff ID; driver license; passport); if the ticket holder refuses to follow the host's orders; If the ticket holder attempts to bring illegal substances into the event and is detected by the police, our personnel, or any other attendee; If the ticket holder breaks a condition of entry or conducts any illegal activity at the event; If the ticket holder is affected by the consumption of alcohol or drugs; If the ticket holder participates in dangerous activities. No professional cameras for commercial photography allowed unless approved in writing by the host prior to the event.